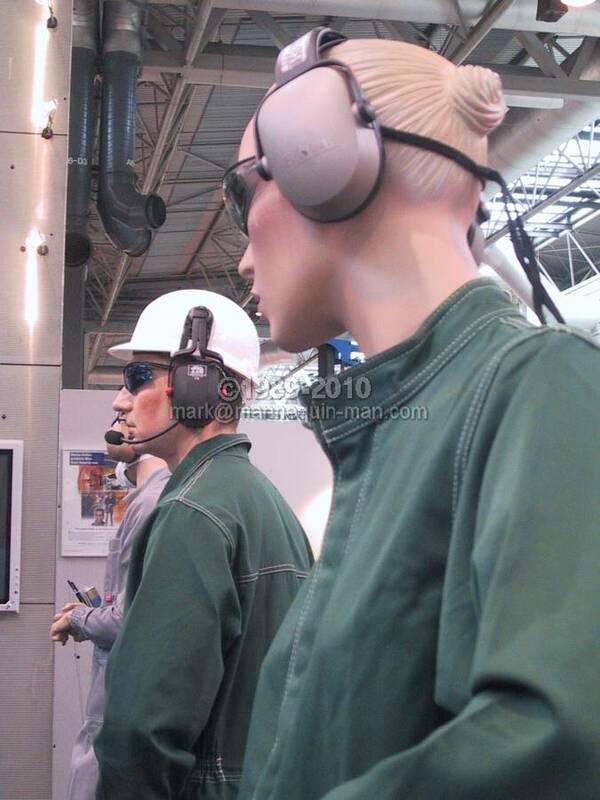 The set-up was four mannequins wearing safety gear on the bacou-dalloz stand. 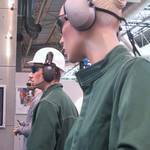 The mannequins were standing on raised oval shaped plinths, and I would take the place as one of the mannequins for the four day show. The stand had a good footfall flowing past, but if I soon realised that if I just stood still or only made sublet movements, then people would just walk past and wouldn't notice me. So I developed a technique of jumping off the plinth just as people were walking passed, which had quite a dramatic effect and reaction.